Improving the energy efficiency of existing buildings is one of the prime priorities in combating climate change. In May 2015, the HKSAR Government launched the Energy Saving Plan for Hong Kong’s Built Environment 2015~2025+. The plan aims to achieve an energy intensity reduction of 40% by 2025 using 2005 as the base. The Environmental Bureau then further developed a “4Ts operation framework”, namely Timeline, Target, Transparency and Together and engaged the industry to join force to energy saving of existing buildings in Hong Kong. The HKGBC, being a private sector professional body and partner to the Government, launched the ACT-Shop programme in 2016. The Programme aligns with Government’s initiatives and also adopts the 4Ts approach to assist building owners to enhance the energy performance of the existing buildings. The main aim of the Programme is to encourage existing building practitioners to implement a knowledge-based energy management and retro-commissioning practices in their buildings, in order to improve the building energy performance. Throughout this Programme, building owners could identify the improvement potentials on energy saving and make decision based on the data analysed. The ACT-Shop programme has already launched the third batch of pilot projects. The participating companies have carried out retro-commissioning in their own buildings. 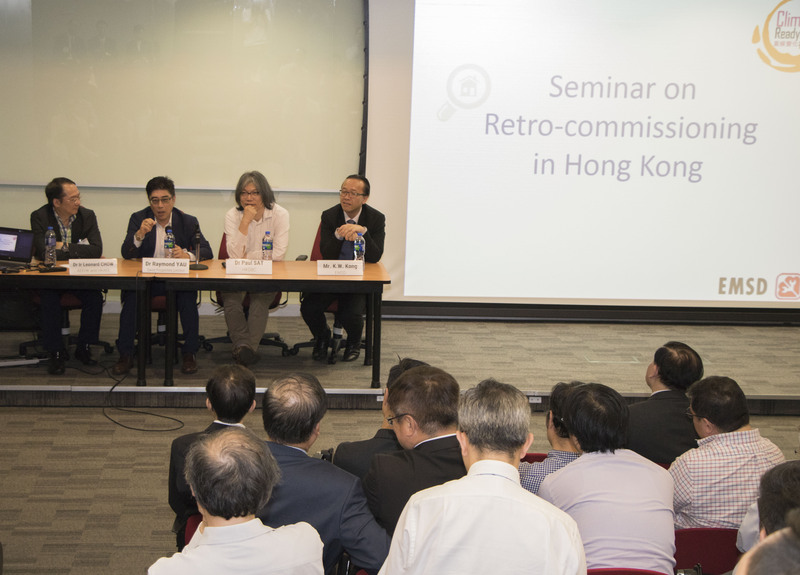 During the process, the HKGBC has facilitated the participants to build up the in-house competence of their staff by sharing data analysis techniques and providing advice on different retro-commissioning measures to their particular pilot building’s operations. Sharing of knowledge is important in making behavioural changes of the building practitioners. 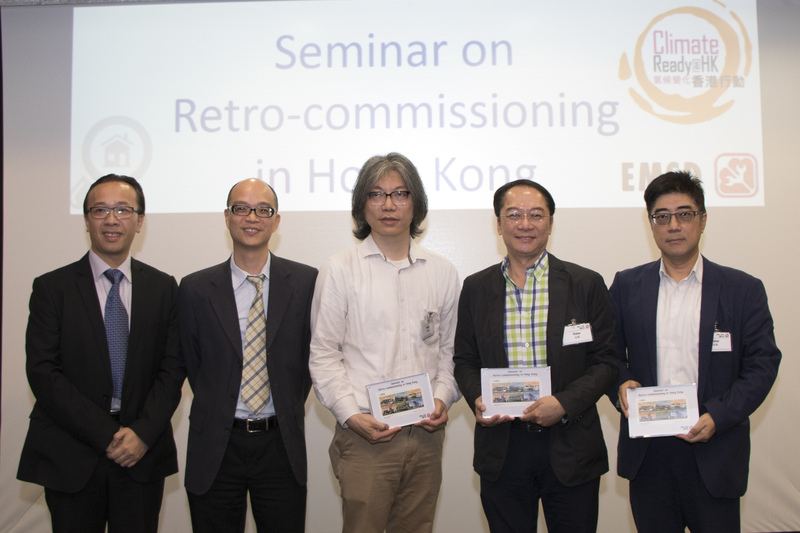 The HKGBC was invited to share the progress of ACT-Shop in two seminars organised by EMSD to promote Retro-commissioning in existing buildings in Hong Kong. Moreover, four pilot projects of the programme have been contributed to the content of the Technical Guidelines on Retro-commissioning published by the Electrical and Mechanical Service Department.